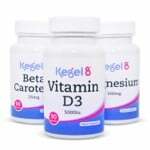 We post our latest discount codes here, for you to use across the Kegel8 website. Coupon codes change on a regular basis so we are able to offer you the best deals to help you look after your pelvic floor. Use code FREE24 to get free 24 hour delivery when you spend over £25 Offer valid 11/04/19 - 14/04/19. 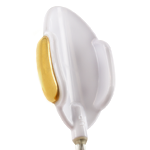 Get a second Glide Gold probe for free with every Ultra 20 purchase - no code needed. Offer valid 06/04/19 - 14/04/2019. 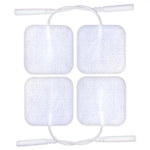 Use code STRESSFREE15 to save 15% off any probe Offer valid 01/04/19 - 05/04/2019. Use code STRESSFREE to save £20 off the Kegel8 Ultra 20 Electronic Pelvic Toner or the Elvie The Pelvic Floor Trainer Offer valid 01/04/19 - 05/04/2019. Use code FREE24 to get free 24 hour delivery when you spend over £25 Offer valid 25/03/19 - 31/03/19. Use code MARCH20 to save £20 off the Kegel8 Ultra 20 Electronic Pelvic Toner Offer valid 15/03/19 - 24/03/2019. Use code WOMEN25 to get £25 off site wide when you spend over £50 Offer valid on 08/03/2019 only. Minimum spend of £50, not including postage. Use code GETAGRIP to get 50% off the Kegel8 Pelvic Floor Wand Offer valid 01/03/19 - 31/03/2019. Use code EXERCISE10 to get 10% off any probe. Offer valid 18/02/19 - 28/02/2019. Use code INTIMATE15 to get £15 off Kegel8 Ultra 20 Electronic Pelvic Toner or Kegel8 V For Men Pelvic Toner Offer valid 01/02/19 - 28/02/2019. Offers valid for the dates given only. Minimum spends may apply. Offers do not apply to postage unless listed otherwise. Only one offer code can be used at a time. Other terms and conditions may apply. Sign up to our newsletter to be the first to hear about new offers. New subscribers will get a FREE voucher for £5 to spend at Kegel8.co.uk. Earn 5% for your purchases at Kegel8.co.uk, £1 back for every product review you leave, and earn double and triple points when you spend during a points promotion. Terms and conditions apply.